We happily feature your creations. 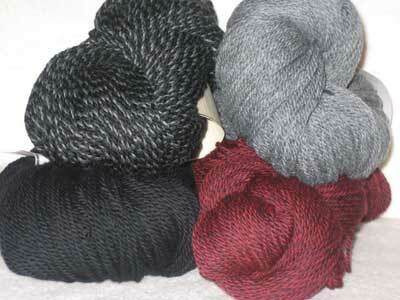 Just to offer you a few ideas on how others have used our yarns. 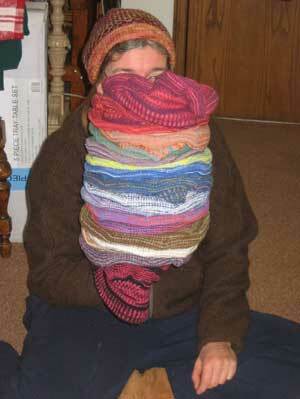 These items were made by you have made from our yarns. 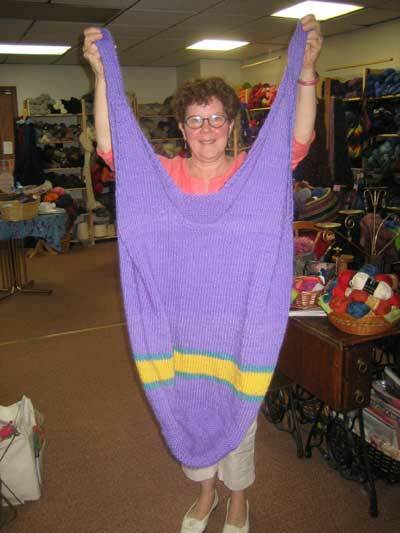 If the pattern is available, we will let you know. However, sometimes these are adaptations of our talented friends. 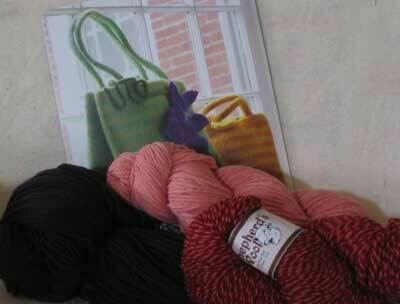 We hope you are encouraged and find new ways to use our fine yarns. You will also see how talented you all are. Thank you all for sharing your talents and photos with us. 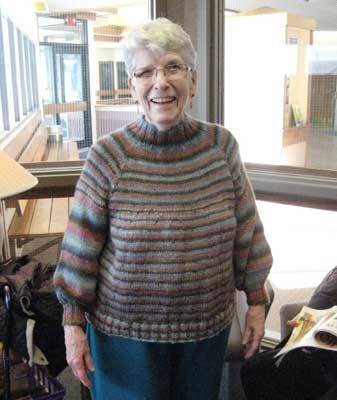 Annie has knit herself a new sweater from Mini Mochi in color Rainbow Trout for her 90th birthday. She created the pattern to fit her perfectly. 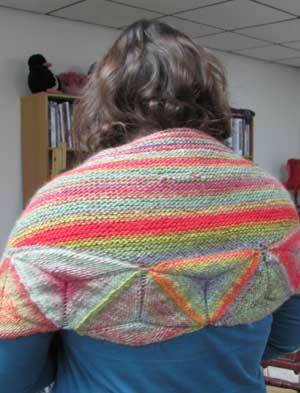 The back of Kelly's shawl knit from Plymouth's Gina. 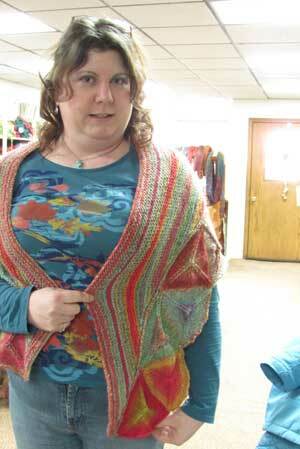 Kelly knit the shawl form Plymouth's Gina and loved knitting the pattern so much that is is making another one. 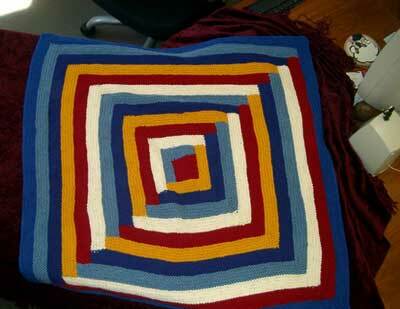 Kim knitted this Log Cabin Blanket from our pattern. Wonderful color coordinations. 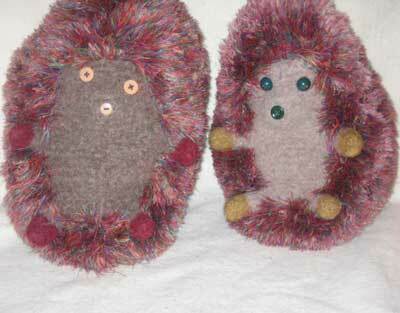 You can find this pattern under "Patterns, Afghans"
Sergei's knitted and felted this friendly hedge hog from the Fiber Trends pattern. 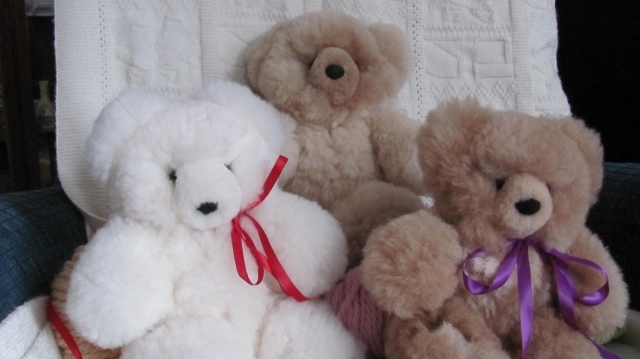 His smaller friend was made by Audrey. 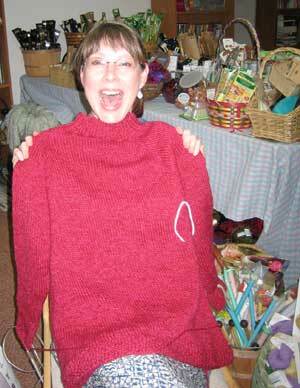 Susan knitted her purse from Brown Sheep Lambs Pride and is ready to felt it.